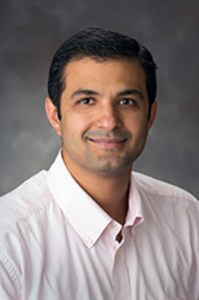 Iowa State University’s Department of Civil, Construction and Environmental Engineering (ISU CCEE) has named Anuj Sharma the Pitt-Des Moines Inc. (PDM) Professor in Civil Engineering. Sharma is a research scientist with the Institute for Transportation and holds a joint appointment as an associate professor of transportation engineering. In these positions, he teaches transportation engineering courses to undergraduate and graduate civil engineering students, conducts research in the transportation operations area, and participates in numerous professional organizations. To learn more about the appointment, see the full story here.